High speed internet is a key part of all business operations, most applications that companies rely on everyday require that they’re connected to the internet to function. It really is the backbone of a business, if you’ve got bad connectivity or an unreliable one then you know how detrimental it can be. In today’s modern world connectivity is vital, not only is it used for your computers to exchange data and access the internet, a lot of businesses are using VoIP as their only method of telecommunication which is why it’s important to ensure you’re getting the best speeds and reliability. Solution Consultants work with the most wholesale data providers across the UK and internationally so we’re always able to offer the best service available, all our connections are managed 24 hours, 7 days a week to give you peace of mind. If you’re from a non-technical background, then business networks and connectivity can seem confusing. If you’re unsure about what option would be the best fit, you can always speak to a member of our team. ADSL broadband is an entry-level option for connectivity, depending on the length of the line you can reach speeds of up to 24 Mbps down and 1.4 Mbps up. It’s recommended for small businesses as the speeds are slower compared to fibre or a leased line, but it can be the perfect choice if your company has low internet usage. Other examples of a good situation for ADSL are if you wanted a low-cost backup line for business continuity or you could choose to run a separate line solely for VoIP. Fibre is sufficient for most small to medium sized businesses. You can expect speeds of around 80 Mbps down and 20 Mbps up depending the line length. Fibre provides fast and reliable connectivity by replacing the cabling from the green exchange cabinet to the customers premise with a fibre line. The speeds should be high enough to accommodate most businesses and is a great choice if you run a lot of cloud applications. 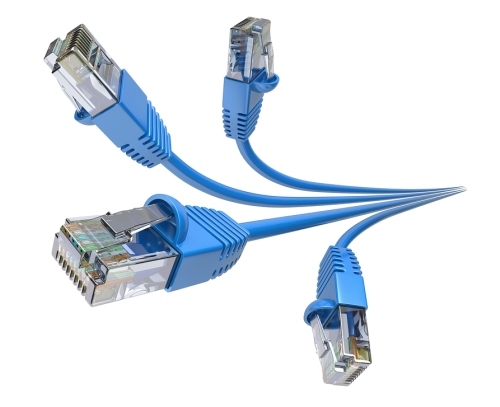 A fibre ethernet leased line is one of the most premium options available to businesses. Leased lines are available at starting speeds of 10 Mbps, 100 Mbps and 1 Gbps but you’re able to increase the speeds by intervals of 10 Mbps, 100 Mbps and 1 Gbps respectively. Fibre ethernet leased lines have become extremely popular with many businesses as it offers a high service ability as well as guaranteed uncontended bandwidth, so you won’t be throttled even at peak times. As opposed to ADSL and FTTC, a leased line has a symmetrical connection meaning you’re able to download and upload at the same rate. EFM works by combining pairs of copper cables, the more pairs used the higher the speeds. EFM can allows speeds of up to 10 Mbps using two pairs, 20 Mbps using four pairs up to a max of 30 Mbps. EFM may not be able to reach the same speeds as a fibre leased line but it does come with its own benefits. It’s a lot faster to implement and go live with an EFM circuit when compared to a leased line so if time is a factor this may be the way to go. It also has a symmetrical connection allowing you to upload at the same rate as download, great if you use cloud services such as DropBox or OneDrive. Other benefits also include no contention ratio so you’re always working at top speed and resiliency, EFM circuits can survive a certain level of failure while still delivering a connection. A bonded connection is two or more lines joined together to act as a single connection. This gives resiliency like you’d get with a load balancing but also increases the speed of the connection. If fibre isn’t available in your area or you’ve got a long line to the exchange, a bonded connection is a great option to increased speeds for a fraction of the cost of a leased line. If you’d like to know how to accurately measure your broadband speed, click here.